﻿Google added over 500,000 images to Google Maps yesterday taken by spacecraft, many of which were taken by Cassini, which was launched in space 20 years ago. All those photos were put together to reconstruct a number of planets and moons, turning them into models of sorts that you can visit using Google Maps. Just like Street View on Earth, you can explore each location and zoom in on particular points of interest — such as the icy plains of Enceladus — to get a better look. 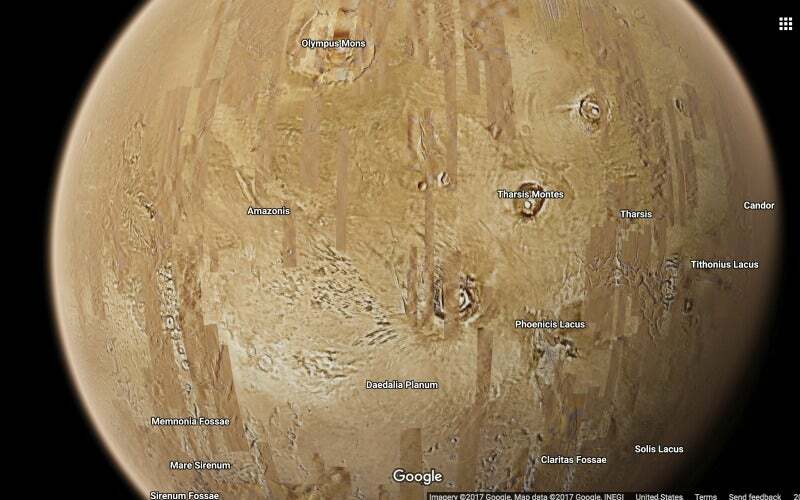 Google added a total of 12 "new worlds" to explore in Maps, including the planets Pluto (It will always be a planet to me), Venus and Mars. 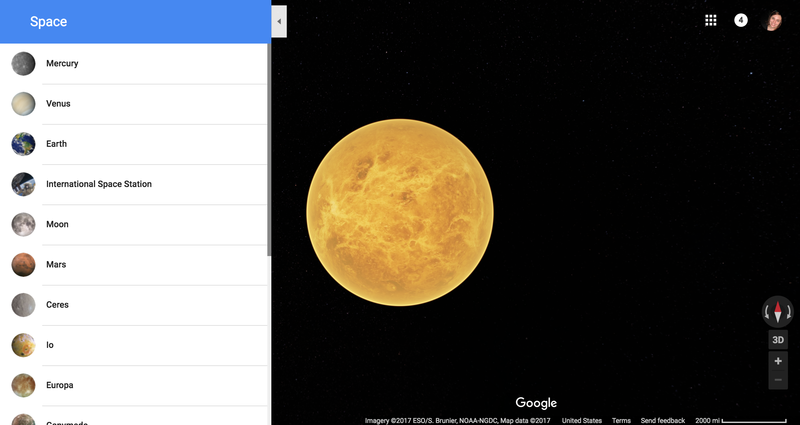 To take a trip to space on your own, you just have to go to street view in Google Maps and then start zooming out. You can also get a direct flight by clicking here. While you won't need it for directions (yet), it's awfully fun to explore.